Happy New Year and welcome to 2017! This is the time of year where we all stop and reflect on how to improve ourselves and make our lives more whole. New goals are set and resolutions are detailed with the best of intentions. When it comes to New Year’s resolutions, achieving them can sometimes be tough. This year, why not set resolutions that you can actually achieve? Resolve to travel more in 2017 and enrich your life with new experiences, adventure and a break from the daily grind we so often get stuck in. Start with a visit to the Farmington area for a getaway to set the tone for the rest of the year. There isn’t a bad time of year to visit Farmington and surrounding areas. Winter, spring, summer or fall, Farmington is the perfect place for a quick getaway or a longer vacation. Farmington has plenty of activities to keep you busy. Even the winter months can provide a getaway like no other. When you visit Farmington, you’ll experience the amazing Southwest, excellent dining, unique art, fascinating museums and the great outdoors. 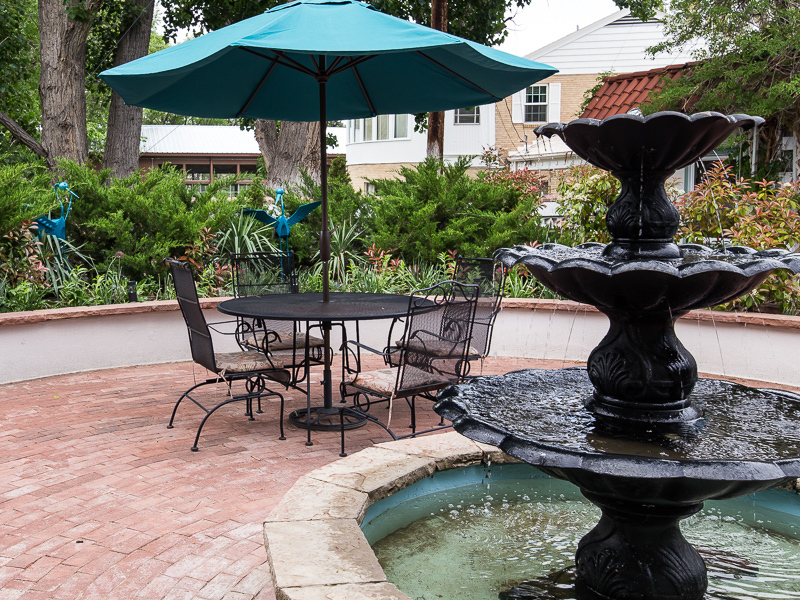 Stay with us at Casa Blanca Inn & Suites and sit back and enjoy life. Listen to the trickling fountains, enjoy our peaceful gardens and luxurious and unique accommodations. Our grounds are immaculate and offer a great opportunity for relaxation and tranquility. For those looking for some activity, you’ll enjoy exploring the Bisti/De-Na-Zin Wilderness, strolling, hiking or biking the gorgeous Berg/Animas Trail, or discovering a variety of nearby national parks and monuments. Our location allows for easy day trips to many national parks and monuments. Visit Mesa Verde National Park, Chaco Canyon National Historical Park, the Aztec Ruins and Canyon de Chelley provide a firsthand insight into ancient cultures. Farmington is a community with a rich Native American culture and fascinating pioneer history. Farmington’s Main Street is lined with boutiques, antique shops and art galleries full of southwestern and authentic Native American charm and treasures. These amazing places are located just blocks from our Inn. An excellent place to escape the daily grind, Farmington allows its visitors to experience so many different things unique to the Southwest. Kick off your New Year’s resolution of travel by making a stop in Farmington. Plan your getaway today. Happy New Year!